Celebration of life will be June 23, 12-4pm at their home in Two Harbors. Jim Lee Raynolds, 74, passed away peacefully at home, with family and dog, Wess, at this side, Thursday, May 10, 2018. He was born February 4, 1944 in Santa Monica, California, to Harvey and Laura (Dobson) Raynolds. He graduated from Alexander Hamilton High School in 1962. He married his first wife out of high school, had two children and lived in California and Nevada. Jim worked construction, masonry and grocery business. Lots of time was spent with his family. Jim met and married his second wife Gail in 1971. They enjoyed hiking the mountains and swimming in ocean in southern California. His son, Chris was born in 1973. The family moved from southern California to NE Minnesota in 1974 where Jim built a log cabin. In 1990, he built their current log home. Jim worked construction and later with a good friend, opened a candy store “O’Fudge” in Two Harbors. 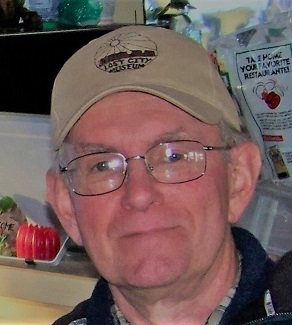 In 1980 Jim began working at the Lakeshore Lutheran Nursing Home in Duluth. He retired in 2005, after 25 yrs. Auburn, CA; nephew Isaac (Karen) Howard of Goldbar Washington; four grandchildren; great-grandchildren and many nieces and nephews. We would like to thank everyone, family, neighbors and friends, who have helped us during the trying time.